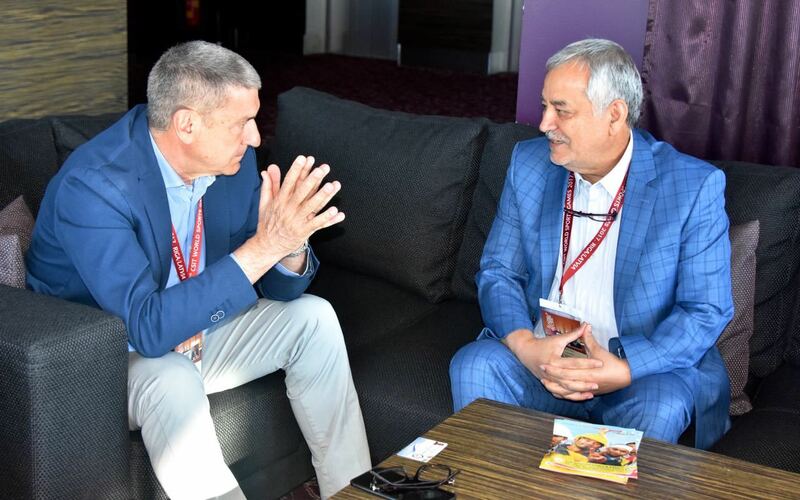 President Molea and Seyed Amir Hosseini, President of Iranian CSIT member organisation AFWSI, met for a bilateral talk on Wednesday morning, the first day of competition at the 5th World Sports Games in Riga. Main topic was a closer cooperation between the two organisations concerning technical commissions of CSIT as well as an exchange of knowledge. AFWSI with its new General Secretary Esmaelli Morteza want to deepen the collaboration in CSIT especially by implementing new sports from Iran and also by starting to work as technical commissioners in the framework of CSIT. The election of all commissioners will be held during the Games in Riga.